How to Build a Vertical Planter - C.R.A.F.T. Note: This post is sponsored by The Home Depot. So, we finished the DIY planters and we added rock to our back patio! I had big plans of painting the planter all kinds of funky, and I did. And then I hated it. I’ll show you pictures, but first check out the final project. 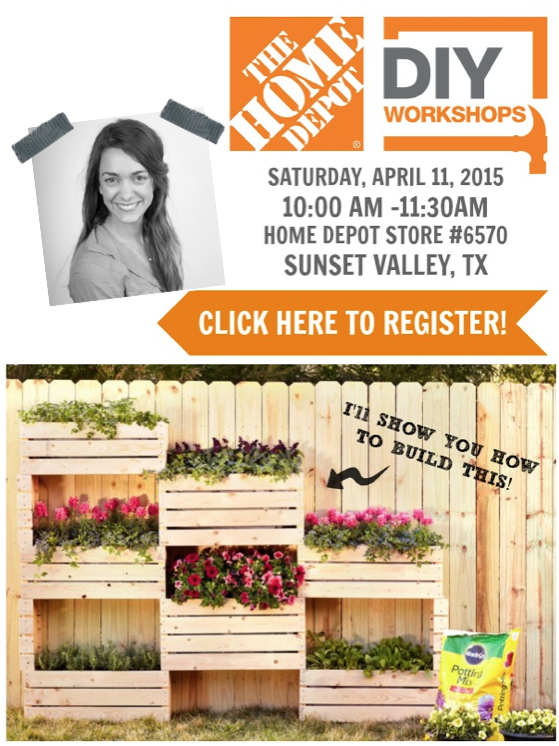 This is what I’ll be teaching y’all how to build at The Home Depot in South Austin at 1200 Home Depot Blvd on April 11th at 10am! 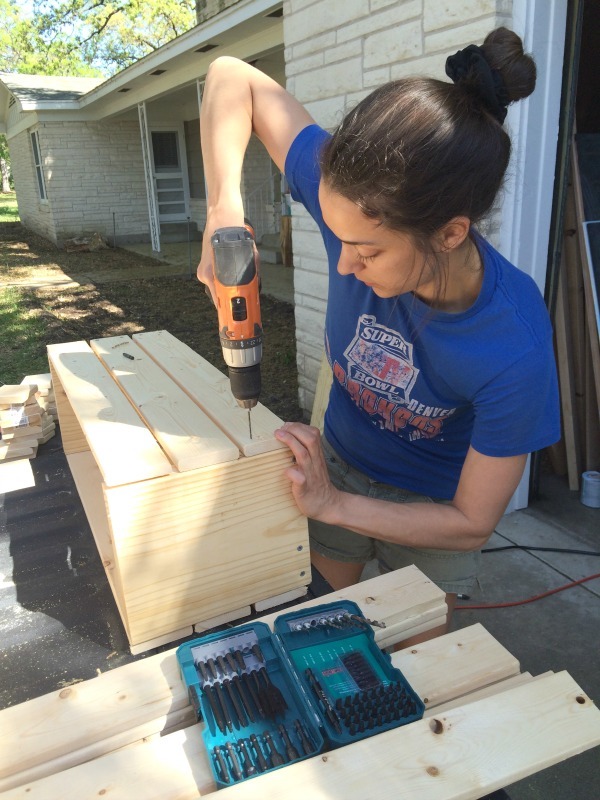 This DIY Workshop is being held throughout the country at most Home Depot store locations. 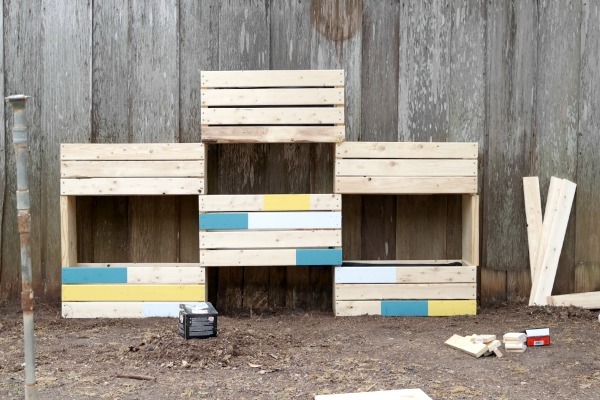 I thought I wanted a little color in the backyard, so I painted some color block action on the front of each of my planter boxes. I painted all 6 of the planters with varying yellow (left over from this project), turquoise, and white stripes. This is the only picture I took before deciding to do a last minute switch-a- roo. We installed the first 3 boxes and I just wasn’t loving it. It looked too… kiddy? Messy? I don’t know. Something wasn’t right. So, for the top 3 boxes we just turned them around and faced the painted sides towards the fence. We ended up un screwing the 8 board that I painted on the bottom 3 planters, turning them over, and screwing them back in. Which is why you see the black stamp on the 3 of the boards on the bottom planters. Welcome to wonderful world of DIY! I definitely wasted some time and paint painting the planters, but in the end I’m so happy we didn’t leave them like that. I want the plants to be the stars of the show, not the paint job. The project is 5 simple (but just being honest here, time consuming) steps. 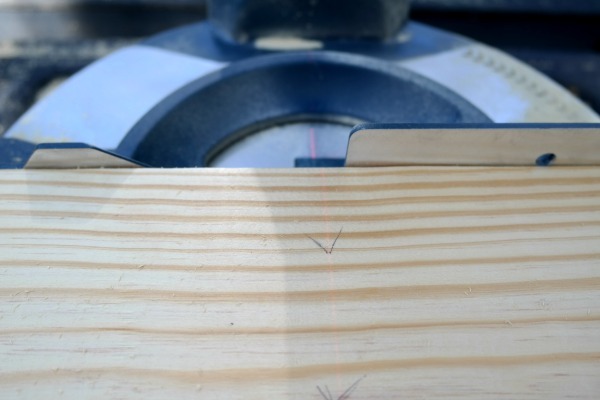 Tip: Using a saw with a built in laser makes cutting wood so much easier! 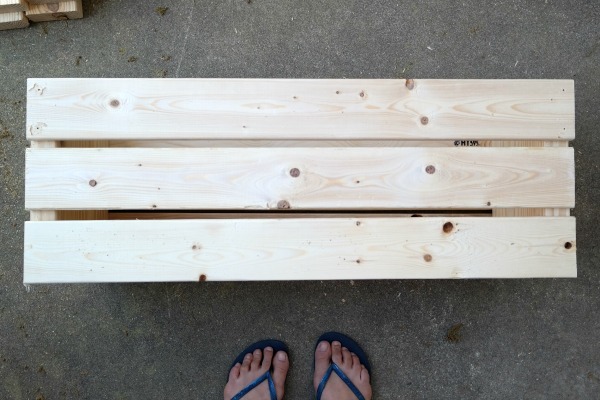 For step 2, you will assemble each of the 6 planter boxes. 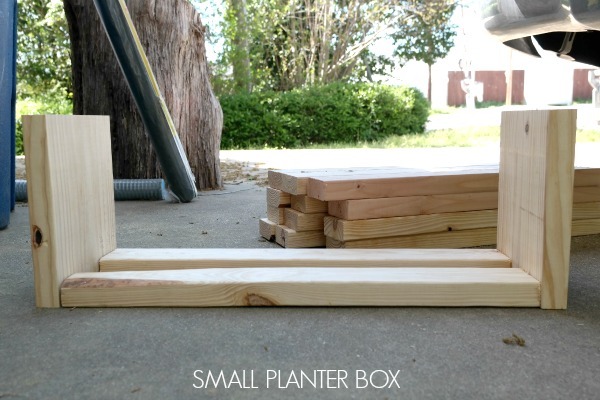 For the smaller planters, attach two 27-inch 2×4 pieces to two 11-inch 2×10 pieces. This is the hardest part of the assembly process for me! It’s an awkward angle and you need to make sure that everything is square. We don’t have a fancy workspace, and found that using the ground was the easiest way to ensure that things were staying square. Then, pre drill all 6 holes and attach three 30-inch 1×4 pieces to each side of your planter frame. Then add screws to your pre drilled holes. Step 3 is to add wire mesh and weed barrier, this is pretty easy. Use wire cutters to cut the wire mesh, and attach it to the bottom of all 6 of your platers. Then you can use scissors to cut the weed barrier and cover the inside on each of your 6 planters. Attach with a staple gun. Moving on to step 4: Attach to the fence. High five, friend! You’ve got all 6 of your planters assembled and prepped! Here are some tips for attaching the planter to your fence. Make sure your first 2 boxes are level. Attach the planter to the fence so that it can not fall over, especially if you have little ones! Step 5 is the most fun… fill ’em up with pretty stuff! 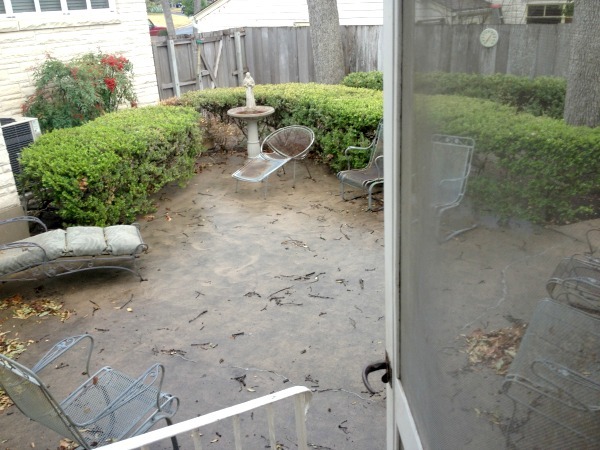 Then Andy ripped out one row of bushes and we painted the free patio furniture. Woah! 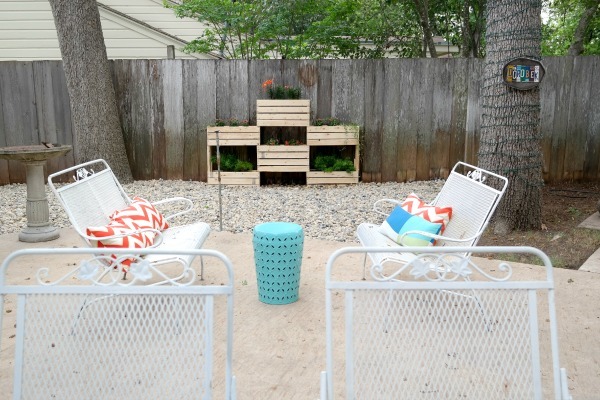 And then we built a DIY planter and extended the patio with rock! We still need to get another load of rocks to fill the last bit of dirt you see in the picture above, but it’s about 85% done. Oh and that big metal stick you see in the middle of the picture? That’s a sprinkle. It was that tall because of the bushes that used to be there. We need to cap off that sprinkle since we don’t need to water our rocks or cement. I can’t wait for my plants to fill in! 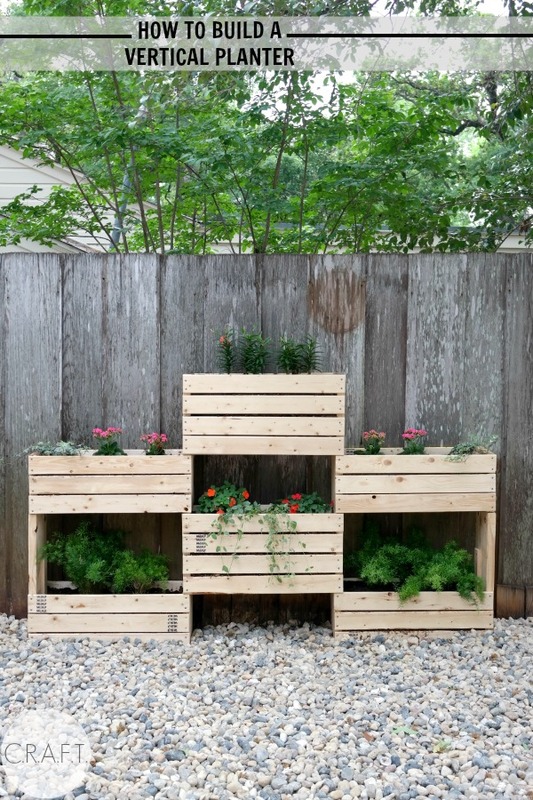 Want a DIY planter in your backyard? Click here and enter your zip code to find a Home Depot workshop location near you. I will be at The Home Depot in South Austin at 1200 Home Depot Blvd on April 11th at 10am teaching you how to build the planter you see in the picture below. The beauty of Doing It Yourself is that you can customize projects to fit your exact needs! Psst… Here are 19 more DIY vertical planters! This is amazing. I cant believe you made the boxes. When I first saw the picture I thought you bought them from the craft store. I might be a little tempted to make something similar with store bought boxes, since planting season is approaching. That’s a great idea! 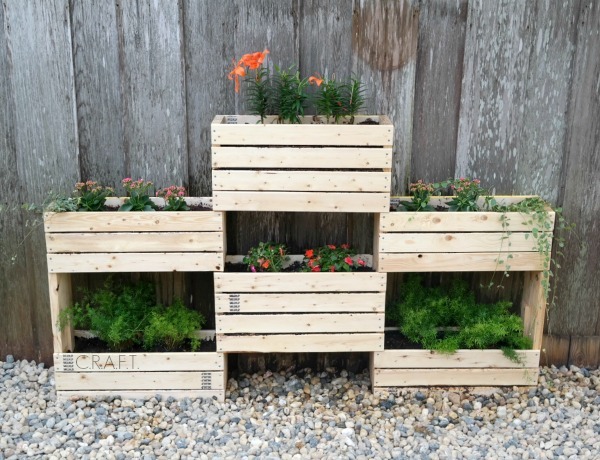 You could totally make the planter with store bought crates! Love this idea, will need to think of where I place one in my garden! This is great! I love your planter and especially because I could make several and stack them! Visiting from the diy Sunday Showcase 🙂 Pinning and sharing! Love your planter boxes. And I like that you kept them natural. I hope to stop by Home Depot and check out the class! Thanks for sharing at the Thursday Favorite Things Blog Hop! I just LOVE this!! Homemade planters are the best and it looks great on your patio!! 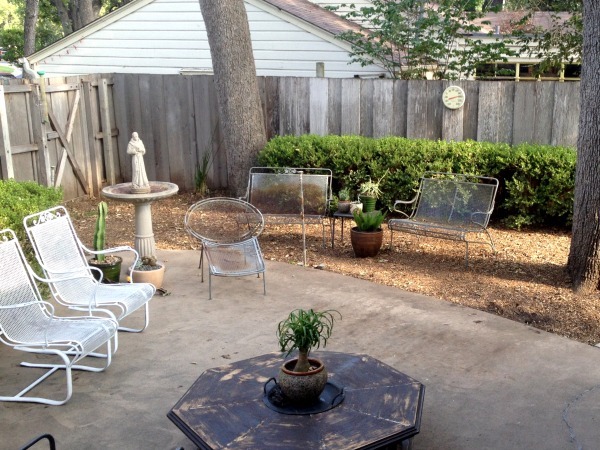 This looks so great, your yard looks fab. Thanks for posting. Hello from Nifty Thrifty Sunday. What fantastic project! I wish I lived closer, so I could attend your DIY workshop. This would be so fun to make! Please stop by my blog and share it on the two live parties we have going right now? My readers will love this !!! Hi there! Late to the party but is ky required for them to be screwed against a wall? I’m renting and I can’t drill into the outside wall on my balcony.